Lifetime is currently airing Little Women: Atlanta and Little Women: Dallas every Wednesday night from 9pm, so all you reality TV addicts better clear your diaries. The two series, both spin-offs of the Little Women: LA franchise, follow the little people of each state as they go about their personal and professional lives, which are full to the brim with drama. 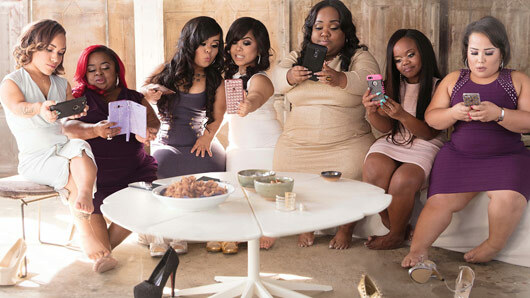 The Atlanta series features Tiffany “Monie” Cashette, Ashley “Minnie” Ross, Andrea Salinas, Amanda Salinas, Bri Barlup, Emily Fernandez, Shirlene “Ms.Juicy” Pearson, Samantha “Sam” Ortiz and Tanya Scott, while the Dallas edition follows Little Women: Atlanta stars Emily and Bri as they move to Dallas to join new cast members Amanda Loy, Caylea Woodbury, Tiffani Chance, Asta Young and Brichelle Humphrey. Each series stars some real characters and, with such big personalities, come some major clashes as they girls never fail to speak their minds. If you love shows like Real Housewives or TOWIE, this is certain to be up your street. The show is unique among the plethora of reality series out there, however, as it explores what it is like to be a person of short stature living in America, breaking existing stereotypes about little people and highlighting the various hardships they have to endure. Little Women airs Wednesdays from 9pm on Lifetime.